In a statement late Monday, officers offered a timeline of events from the Sunday incident, along with police dash-cam video. Update: 9:10 a.m. Tuesday, Dec. 8: The carjacking suspect has been identified by the King County Medical Examiner as Raymond Azevedo, a 35-year-old Pierce County resident who had served time in prison. Original post, 10:46 p.m. Monday: Seattle police released new details late Monday on the man they killed after leading officers on a wild chase through the city on Sunday, firing gunshots at his pursuers and carjacking several vehicles. The man stole three vehicles during the chase that started downtown before winding through the Montlake, Ravenna and Wedgwood neighborhoods. The chase came to an end after at least 11 officers opened fire on the man and killed him near Northeast 68th Street and 35th Avenue Northeast, in Wedgwood. A total of 12 officers are on paid administrative leave pending an investigation. 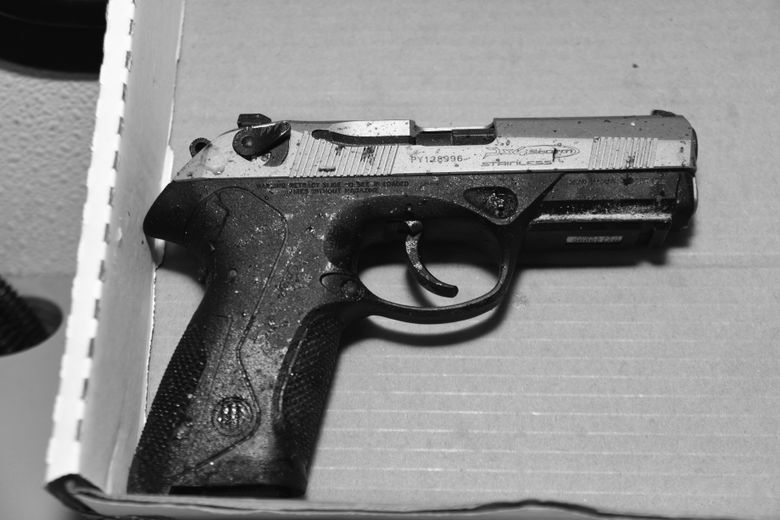 Police say they found two guns in the man’s possession, at least one of which was a semiautomatic handgun next to his body. Medical investigators have yet to release his name. On Monday night, police released detailed information on the chase, which included several crime scenes and dozens of witnesses. They also released patrol-car video of the incident. The crime spree started shortly after 12:30 p.m. when employees of a coffee shop near Pike Place Market reported a man inside with a gun, police said. 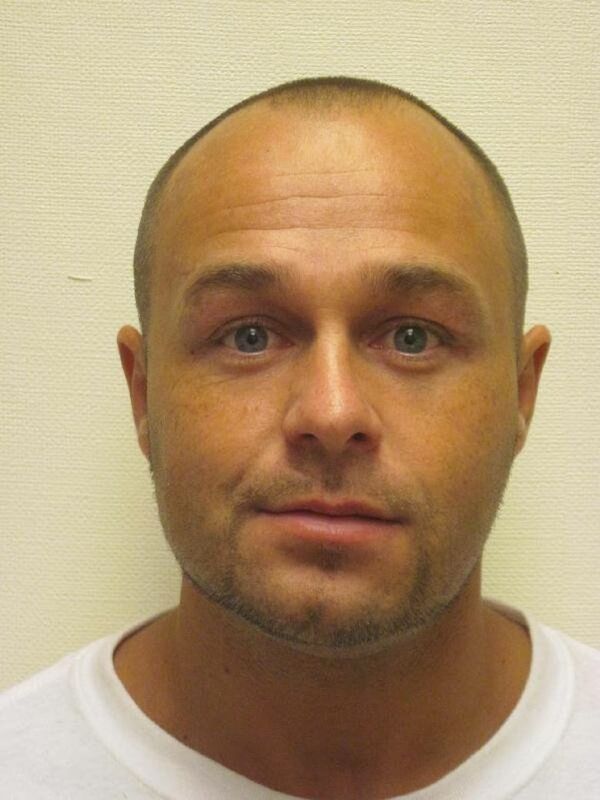 The 35-year-old suspect from Lakewood, Pierce County, had last served prison time between October 2013 and October 2014. He was on community custody, Washington’s version of probation, until Nov. 7, according to the Department of Corrections. The man had previous convictions for second-degree unlawful possession of a firearm, first-degree malicious mischief, attempting to elude police and third-degree assault of law enforcement, a corrections spokesman said in an email. 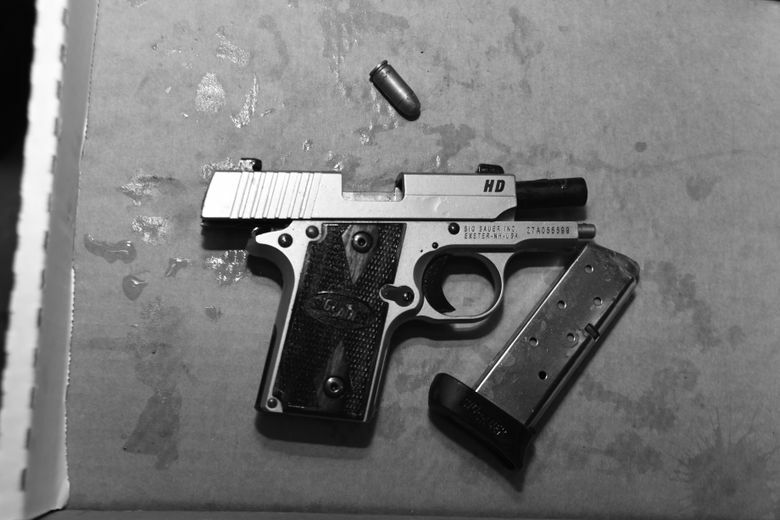 Because of his criminal convictions, the man was barred from legally possessing a handgun. When officers arrived at the coffee shop, the man wasn’t there. He fled through several nearby businesses brandishing a handgun before ending up at a tattoo shop, where he ran into an alley, and carjacked the driver of a red Volkswagen at gunpoint, police said. He drove to the Montlake area, where he stole a red minivan at gunpoint. He then drove to the University of Washington Athletic Center, where he forced a man in the lobby to hand over keys to his red minivan, police said. The suspect took the van to a gas station, where he tried to carjack another vehicle, a woman’s Mercedes, at gunpoint, police said. She ran and he took off in the minivan, police said. He next stole a Chevy Camaro from two employees of a car rental lot at gunpoint, police said. 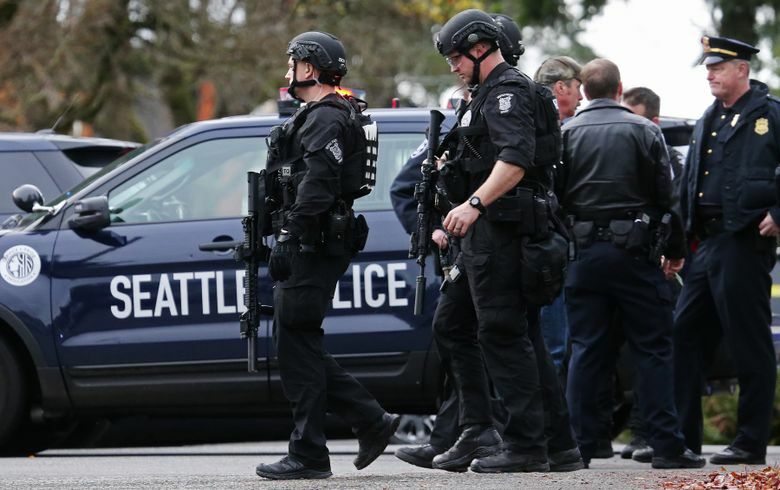 Officers pursued him throughout Northeast Seattle, ramming into him several times, police said. One officer, after slamming his patrol car’s front end into the stolen vehicle and pushing it into the intersection, ran after the suspect while he was driving, the release says. The suspect then fired at officers who chased him, police said. Officers collided head-on into the Camaro at Northeast 68th Street and 35th Avenue Northeast in the Wedgwood neighborhood. An SUV was struck, according to the release. The woman who was driving that vehicle fled as police “took up positions behind their patrol cars,” the release says. Police believe the man then pointed his gun at officers, maneuvered the Camaro toward them, and they opened fire. SWAT officers then approached the suspect and fired, the release says. The man died at the scene. Two police officers were hospitalized with non-life-threatening injuries after they were injured in the crashes, police said, and several citizens were also treated for injuries. The release said none of the injuries was significant. The department’s homicide unit and the department’s Force Investigation Team, which responds to serious incidents of use of force and all Seattle police shootings, are investigating. 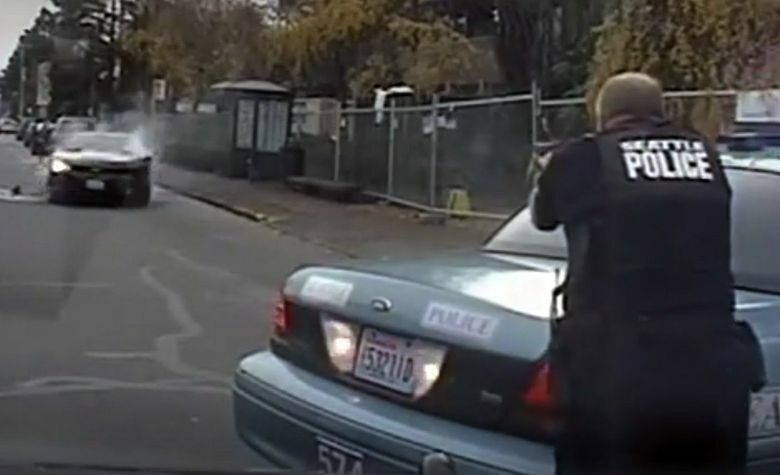 Seattle police have been involved in four other on-duty shootings this year. On Sept. 29, police shot and wounded two people in unrelated incidents, one downtown and the other in the Northgate neighborhood. In one incident, a man was shot after brandishing a handgun to a downtown building security guard. Police said they followed the man and when he didn’t follow their commands one officer fired several times, striking the man in the hand. On that same day, officers shot a man after he threatened them with a knife in the Northgate area. The man was shot with a stun gun first, but when it had no effect, he was shot, according to a department spokesman. The man also survived. On Aug. 25, Seattle police shot and wounded a man at a homeless encampment after he allegedly fatally beat a homeless woman and wounded her husband. On July 17, Samuel Smith was fatally shot in Ravenna after he charged an officer with a knife. Police had been looking for Smith, 27, because he was believed to have been involved in a hit-and-run accident in which a police car was struck on Interstate 5, police said. The Force Investigation Team is part of the Seattle Police Department’s use-of-force policy negotiated between the department and the Department of Justice (DOJ), which concluded in 2011 that Seattle police resort to force too quickly and routinely use too much when they do. Note: This story was corrected on Dec. 8, 2015. An earlier version indicated that the chase at one point reached Northgate; it did not. Seattle Times staff reporters Jennifer Sullivan and Gene Balk contributed to this story, which includes information from Times archives. Jennifer Sullivan: 206-464-8294 or jensullivan@seattletimes.com. On Twitter @SeattleSullivan.